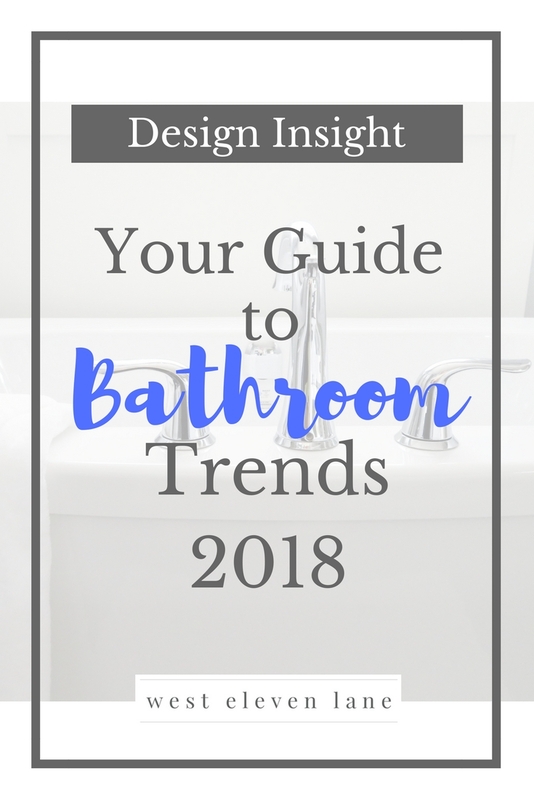 This year’s bathroom trends are taking the design world by storm. More and more no matter how small or large, the big push is to really reflect your own personality and unique style to make your bathroom just as amazing as every other room in your home. I’m excited to share some of my favorite 2018 trends with you today just in case you are ready to tackle yours in the upcoming year. European Inspired Showers – If you’ve never been to Europe, perhaps a curbless shower has never crossed your mind. And although one must be careful to design the bathroom so that water drains properly, the benefits are that they’re easier to clean, make the bathroom appear larger, and allow homeowners to stay and age where they’re at. Color – We are seeing a steady movement from neutrals to bold color – especially blues. Monochromatic color schemes are specifically making their way on the scene. To achieve the look, select a single color and decorate with various shades of the hue. High Tech Features – This may be my favorite bathroom trend because honestly I’m a techie at heart. And also because, put me in a bathroom with all of these features and I just may never leave: high tech body sprays and jets, smart showers that remember desired temps, button and voice command fixtures, programmable mood lighting, docking stations, shower heads with built-in speakers, touch-less flush and self-cleaning toilets, bluetooth, modular televisions and beverage centers. Comfort – This trend reminds us that a bathroom shouldn’t just look good; it really needs to function well. Look for it in comfort height toilets, side mounted faucets, and floating vanities with logically customizable heights. Warmth – This trend spans from the warmth of wood tones to actual ventless fire features. Additional ways to bring the heat are warming drawers, radiant flooring and heated towel bars. Talk about bringing the luxury. Smart Storage – Riding on the coattails of this year’s styled Open Storage trend is ‘Smart Storage’. Practicality is highlighted by bringing storage floor to ceiling, taking advantage of unused corners and spaces both above and below eye level. So there you have it. I’d love to hear about which trends are your favorite in the comments below. And if you’d like to get caught up with even more of what’s in style this year, check out Kitchen Design Trends and Interior Design Trends 2018.